Adventure is our second name … just because SECURITY is the first. Diving is one of the most fascinating experiences of this land. As divers we love to explore the depths of the ocean and allow nature to surprise us every day, but we also know that advance planning plays a very important role in having a better and safer experience. This can be the key to any successful diving trip. 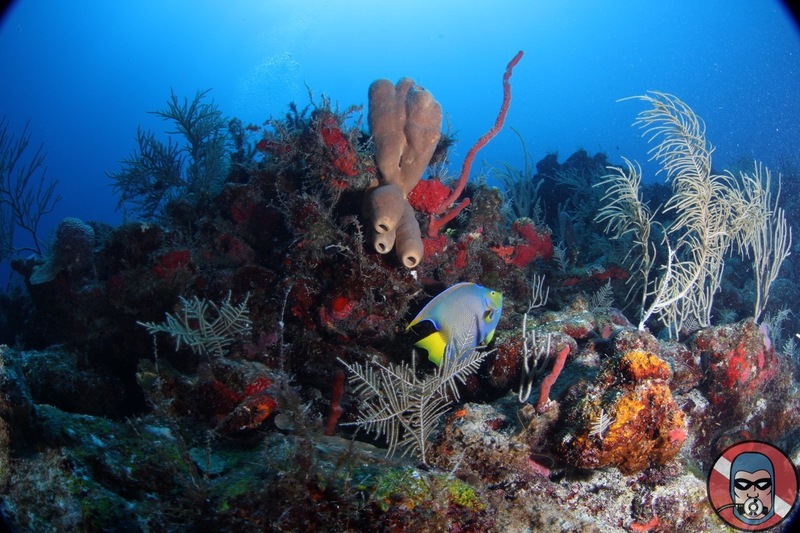 These are some important elements that we recommend you consider when planning a diving trip. RESEARCH. To save time when you arrive, look for the activities you can do on the site that you will spend your holidays and book in advance, because during the high season you run the risk of running out of the opportunity to participate in daily dives. We show you the tours you can book with us. Diving in cenotes, reefs in Playa del Carmen and Cozumel, MUSA in Cancun (Underwater Museum), sunken ships. LEARN ABOUT LOCAL MARINE LIFE Studying marine life can make your experience even more exciting, in this way you will know how to recognize the animals or formations that you will see during your dive and elaborate your own book of Caribbean marine life. In our shop you can find one that has already been developed to identify and mark all the species that you find during the dives. It is highly recommended to find out about possible corals or poisonous animals in the area to avoid them. Remember, diving has the same rules as a museum – do not touch! CHECK THE PROGNOSIS OF TIME. The weather is quite unpredictable as is the rest of nature, but finding out when are the best seasons to visit a site can save you many surprises and allow your trip to be more enjoyable. CONSULT YOUR DOCTOR. Diving can be dangerous if you have certain medical problems. If you consider doing this sport, ask your doctor how it can affect your health. Similarly, annual exams are highly recommended. Remember to book the dives at least 12 hours before embarking on air travel. REVIEW YOUR TEAM If you do not have diving equipment or just think about carrying some essential parts, we offer you complete equipment rental and ready for your use. If you dive elsewhere, make sure the equipment is in good condition and maintained regularly. RESERVE ACCORDING TO YOUR SKILLS. As we said before, diving is one of the most fascinating experiences on this earth and to have fun it is always good to take safety precautions, even for certified divers. If you have not dived in a long period of time, it is advisable to do a couple of practice dives before going to the beautiful reefs. Ask the diving team about the places they will take you to: their conditions, difficulty and visibility. If you are an experienced diver, you can continue to certify yourself with our different specializations. If you do not have diving certification, you can also do it! You can take our Open Water Diver or Advanced Open Water course to certify yourself as a diver and continue your adventure anywhere in the world. If you are not looking for a certification, with our Discovery Scuba Diving course you will be navigating the depths of the ocean in one day. The course includes all the equipment, a 30 minute class where you will learn the basics of diving and do the necessary exercises before going out to the crystal clear waters to fully enjoy this experience. The instructor will be present at all times. So plan your vacation and always remember the most important thing – DIVE FUN, DIVE SAFE, DIVE PHANTOM! WHY ARE THE SHARKS SO IMPORTANT? 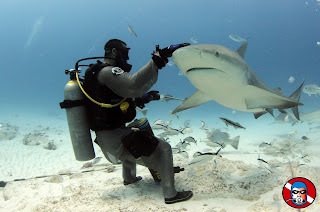 How about diving with bull sharks? HERE WE GO, WHALE SHARK SEASON IN THE MEXICAN CARIBBEAN! Phantom Divers is your first choice for underwater adventure. We are a PADI and SNSI training dive center offering recreational and career development opportunities through a wide range of courses from Discover Scuba Diving to Dive Master.